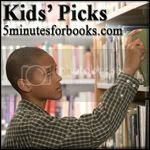 Time for another Kid Picks carnival over at 5 Minutes for Books! Since kids in general like animals, and my child in particular, I'm forever on the look-out for a cute book on animals for children. We've been fortunate to stumble across a few that we love. Here's a few more interesting finds to add to that pile that my son seems to enjoy. How Do You Sleep? is awesome for teaching kids how and where animals sleep. This is a topic we've only recently broached in our household and so I was really glad to find this book. In this book you discover that horses sleep standing up in barns, pigs spread their hooves, rabbits cuddle up underground and so on and so forth. My son has been asking about where bears and monkeys live recently so as far as I'm concerned, this book is a hot find and one worth grabbing hold of. It's also fantastically illustrated by Kristin Kest in a beautiful way. Marshall Cavandish is the publisher of this fine book and have quite a few books about animals in their line-up that are worth checking out. Flamingos. I've never seen a picture book on flamingos. This was my first and is also published by Marshall Cavandish. It's called Flamingo Sunset and begins with a flamingo egg being hatched. It follows a young flamingo's life as it reaches maturity and can take off soaring in the sky along with all of the other adult flamingos, creating a "flamingo sunset." Flamingos are certainly interesting creatures and we've discovered them in some of our early reader counting books (interestingly enough) so it was nice to find a book all about this bright pink bird. Cattle Kids: A Year on the Western Range is published by Boyd's Mill Press and is written for children ages 6-10, I would say. This book is told from a unique perspective of children who work on their family's cattle ranch. The book uses actual photographs to help tell the story of life on a cattle ranch, including the use of dirt bikes to help gather in cattle. One of the boys in this story uses his dirt bike to look for stray cattle. This book is informative, interesting and makes excellent use of photography in broadening children's perspectives about what it means to be a cowboy -- and who can be one. 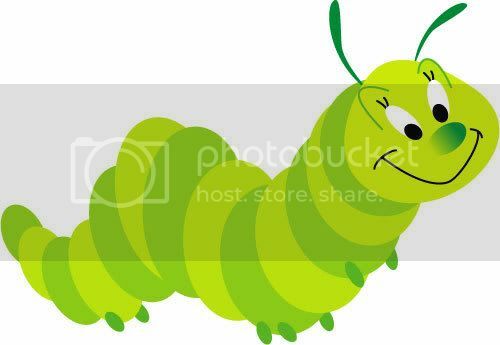 Do you have a unique book on animals that you have enjoyed with your children? I'll take any and all suggestions. We're never done book hunting so lay one on me! In the meantime, if any of these titles were new to you, let me know what you think of them. My daughter would love those Cavendish books. Thanks for recommending them! Thanks for the recommendations, Carrie! I'm posting a new animal book (about chameleons!) for next week's Read Aloud Thursday! Thanks for the good suggestions. My youngest granddaughter(4) is a big fan of animal books. These books sound like great suggestions for my younger kiddos. I am going to add them to my list of books for them. Oh, these look good! Some of Logan's favorites are Bear Snores On and Bear Wants More, both by Karma Wilson. They're delightful rhyming books, which I love.